General Motors now has the distinction of being the only fleet and retail truck provider to offer every vehicle in its lineup with a box delete option. 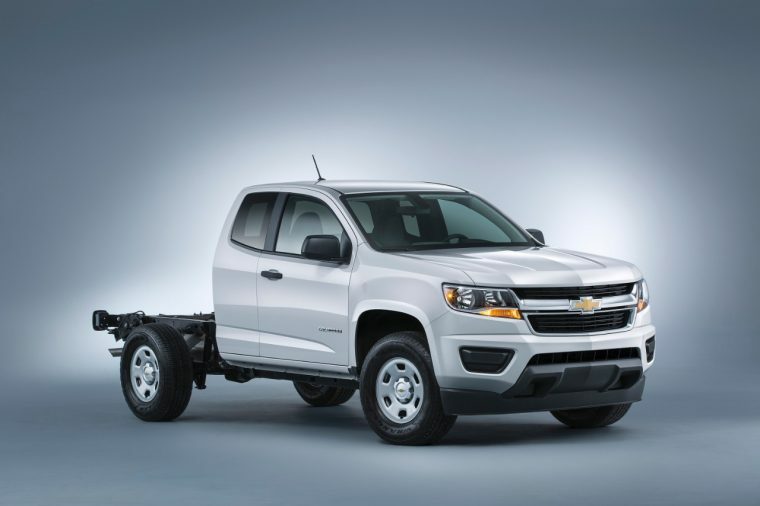 The addition of box delete on the two-wheel drive and four-wheel drive Regular Cab Chevrolet Silverado 1500 and GMC Sierra 1500 makes every GM-manufactured truck available for full modification for fleet and retail customers. The box delete option eliminates the truck’s box, rear bumper, and spare tire assembly while adding high-rate rear springs and the Max Trailering Package’s front stabilizer bar. It adds a $575 credit from the MSRP, but the spare tire assembly can be reintegrated into the truck for $335. The Chevy Colorado and GMC Canyon are already available with box delete option, as are the Silverado HD and GMC Sierra HD.